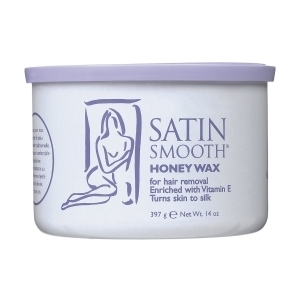 Honey Wax with Vitamin E is an all-purpose wax, enriched with vitamin E which acts as a buffer between skin and wax. For use on all areas but formulated to spread thinly and easily over large body areas, so is recommended for legs, arms, back, chest and shoulders. Ideal for all types of hair and oily skin. Produced from pine resin and beeswax with natural antibacterial properties.